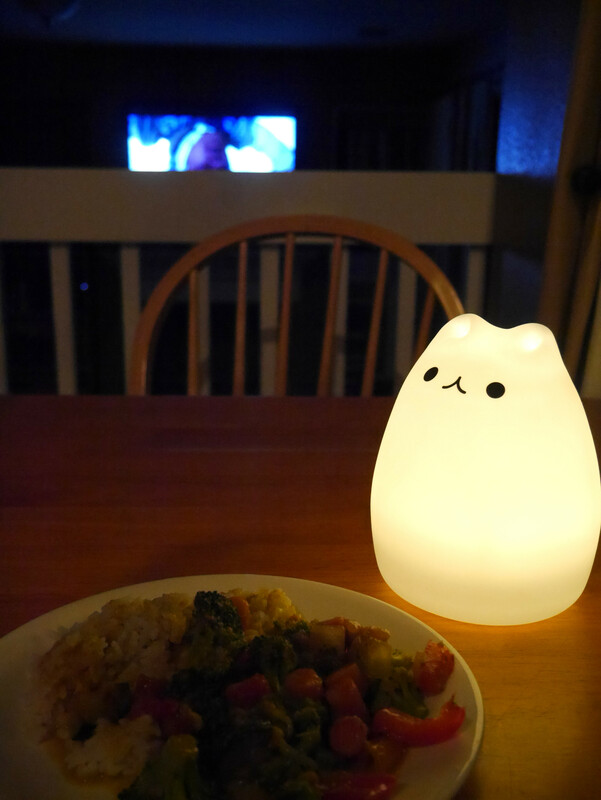 Coconut peanut sauce over veggies and rice, my new cat lamp, and Star Wars on the TV. This is turning out to be a nice New Year’s Eve. Today has been relaxing and now we only have five more hours until midnight. I’m not sure I can make it but I will try. No poppers or sparkling juice for us but it is a good time perhaps to reflect on the year and look forward to the new one. 2017, I may not be ready for you, but here you come anyway, let’s do this. Next Post Good morning 2017! Happy New Year precious girl!